QUEENS — The QueensWay is off the rails, a new opposition movement says. A new website started by a Woodhaven resident has joined the debate over an abandoned rail line, proposing that the unused Long Island Rail Road's Rockaway branch should not be developed at all. 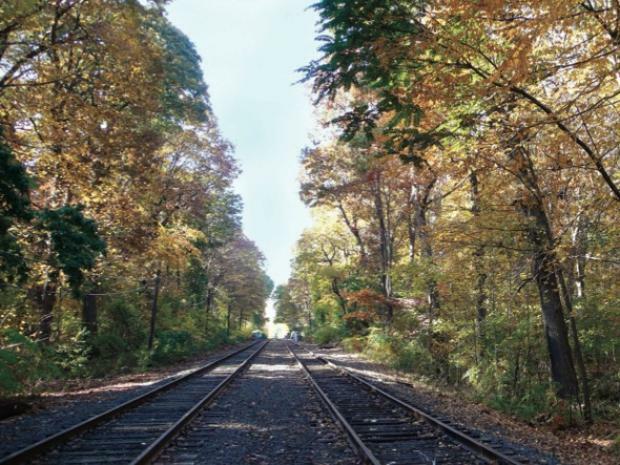 In recent months, two plans to revitalize the 3.5-mile long railroad, which has been abandoned for the past 50 years, have been the topic of public discussion in the borough. Last month, one of them, a proposal for the QueensWay, which would transform the rails into a public park with bike trails, won a nearly $500,000 grant from New York State to study the project. The second idea, promoted by the Rockaway Transit Coalition and other groups, would be to bring back rail service to the line, which connects Rego Park with Forest Hills, Richmond Hill and Ozone Park. The website, No Way QueensWay, was launched earlier this month by Neil Giannelli, whose house is located on 98th Street, adjacent to the old railroad. He said he opposes both proposals to revitalize the old railroad. “I’m concerned about safety and privacy,” said Giannelli, 59, an office manager. The project could attract criminals, added Giannelli, who also feared the value of the houses located directly next to the railroad would decrease if the project moves forward. Dozens of residents in the area feel the same way, Giannelli claimed, and a group is planning to meet some time next week to discuss the issue. The website asks residents to call and e-mail Community Board 9 to let its members know what Woodhaven homeowners think about the rail line. The Woodhaven Residents' Block Association has also questioned the proposals. Wendell said the project would significantly alter the neighborhood and that any local concerns should be addressed before a final decision is made. And Marc Matsil, New York State director for the Trust for Public Fund, which also supports the QueensWay, said he found concerns about parking and security unfounded. The project would actually decrease the traffic in the area, he said, because people would be walking or biking to the park. "There are more than 250,000 residents that live within a mile from the proposed project,” he said, adding that for them the new park would be within a walkable distance. He also said there are ways to buffer adjacent houses with plants, and that there are ways to keep the area safe. Last December, the Trust for Public Land received a $467,000 grant from Gov. Andrew Cuomo for a feasibility study. The study will start soon, Matsil said. Giannelli, however, said he was upset that so much money was going toward the study while there are other projects in the area that required funding, including repaving streets and keeping the local firehouse open. The Rockaway rail line opened in 1877, but its ridership declined after a fire in 1950. It was finally closed in 1962, and has since become home to weeds, trash and graffiti.